I find myself needing to apologize in nearly every post. All I can say is in the next few months I will be beginning my field work in Malaysia and Indonesia and I hope to post almost daily from there, as I will have regular access to wifi. But before I head over I thought I should share with you what my project will be about and why I believe it is important. I hope you will read this because I will be relying on people like you to help and donate anything to my research to help fund it. I will have a crowd funding site up and running as soon as everything is finalized. I will be studying volunteer tourism in Malaysia and Indonesia with the hope to provide recommendations to the centers I work with to make their volunteer programs as profitable and as sound in a conservation sense as possible. So now you may be wondering what kinds of centers I could be talking about? Well as I am sure I have mentioned time and time again orangutans are being threatened by deforestation due to many causes, one being palm oil, and once these orangutans are displaced or orphaned they have nowhere to go. 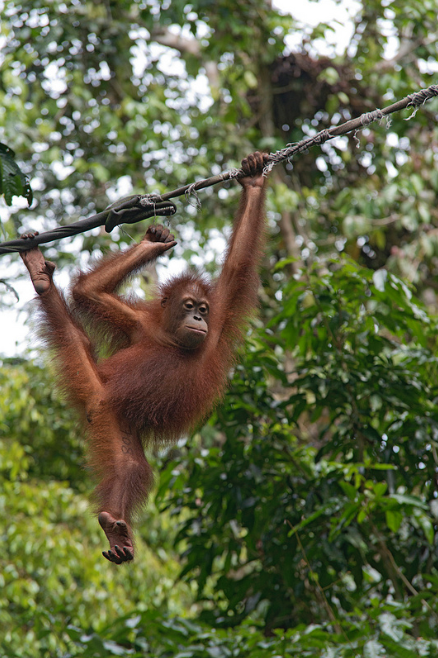 This is how the necessity for orangutan orphanages came to be. A sad but true fact about orangutans is that if a mother and infant crosses the path of a hunter the mother will be shot down and the baby pulled from her to enter into the (illegal but profitable) pet trade. This is where the majority of orangutan orphans come from. Many pets are seized by officials or they are surrendered once the owners realize how much work they actually are. A juvenile orangutan needs to stay with its mother for up to 9 years. 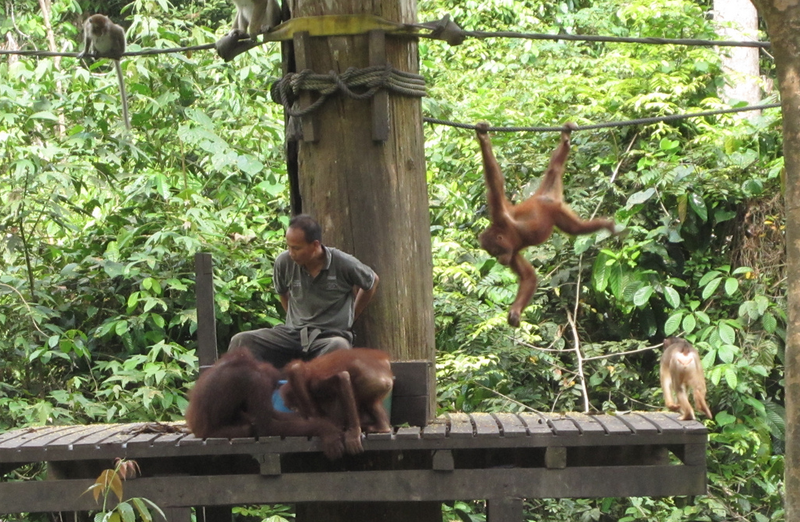 This is a very important bond because orangutans are solitary apes. They do not live in family groups or even pair up for more than a few days for mating purposes. This means that the orangutan must learn everything from its mother, and when that bond is severed too early it can spell disaster for the juvenile. So care centers care for injured or orphaned orangutans and help teach them the skills necessary to living life in the forest. These care centers also take volunteers from overseas through various travel organizations. These volunteers will conduct a variety of duties ranging from hands-on, to what you would expect of an average zoo keeper (much of which is hands-off care). I hope to follow volunteers from start to finish, interviewing them along the way, to find out how they came to be there, what they think of the programs and how they handled the culture shock of coming from places like the UK, US or Australia to SE Asia. I will also monitor orangutan behavior to ensure that the activities are having the most positive impact on these young and impressionable apes as possible. I am still working on obtaining confirmation from the centers, but I do have high hopes.